The Pacific oyster is an oyster which is native to the Asian Pacific coast. However, nowadays you can also find this species in other continents, including the Netherlands. The Pacific oyster is also known by its Latin name, which is Crassostrea gigas, and as the Japanese oyster and Miyagi oyster. The Pacific oyster was first imported to the Netherlands from Portugal in 1883. The reason for this was to see whether the oysters were suitable for cultivation. 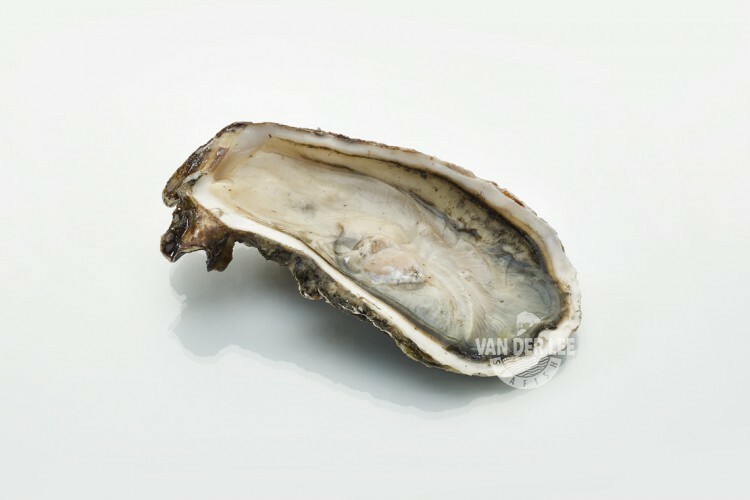 Almost a hundred years later, in 1963, more Pacific oysters were imported to the Netherlands to replace the native oysters which were suffering from a disease at that time. In addition, the Pacific oyster has also spread to the Netherlands through ballast water. As a supplier, we primarily catch our Pacific oyster in the North Sea. After the oysters have been caught we only take the best ones and immediately process and freeze them to keep them fresh. Next we depurate them for 24 hours. This means that they are kept in clean and salt water to spit out the sand. In this way you will not have sand between your teeth when you eat the oysters. The Pacific oyster has a soft texture and a briny taste. However, it is said that the taste of the oyster is determined by the water it came from. This is why Pacific oysters can be much sweeter compared to Atlantic oysters. One hundred grams of Pacific oyster will contain around 81 calories. Moreover, the oyster is a rich source of vitamin D, several B vitamins and protein. We export our Pacific oyster to a lot of different countries in Europe. However, the Pacific oyster is especially popular in France. In this country they call the Pacific oyster ‘huître creuse’ or the ‘Japonais’. The Pacific oyster is mostly eaten fresh. However, you can also bake or grill it. Another way to prepare Pacific oysters is to serve them with a soy and sesame dressing. In addition, they will also taste delicious when you serve them with lemon juice, pepper and salt.